This detailed history is richly illustrated with unit badges, nose art, scale drawings, color side views and three-views. Previously unreleased photos and personal stories from pilots in the Great Patriotic War are also included. Founded in 1927, the design bureau headed by Aleksandr S. Yakovlev started out with light aircraft but soon became a "fighter maker" when the prospect of war loomed large. Originally designated I-26, Yakovlev's simple but rugged fighter, first flew in 1940 and entered production at the end of the year as the Yak-1. The Yak-9 followed in 1942 and brought a greater proportion of metal to the airframe design leading to the development of the long-range Yak-9D, the up-gunned tank buster versions (Yak-9-37, Yak-9T, Yak-9K etc.) and the Yak-9B light bomber. 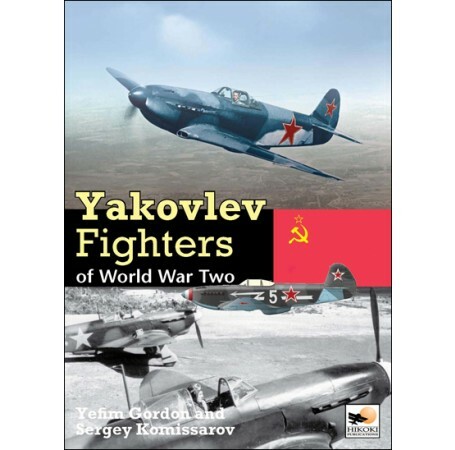 Later flown by the French pilots of the Normandie-Niemen squadron of the Soviet Air Force the Yak-3 introduced in 1943 came to be recognized as one of the best fighters of WW II. This detailed history is richly illustrated with unit badges, nose art, scale drawings, color side views and three-views. 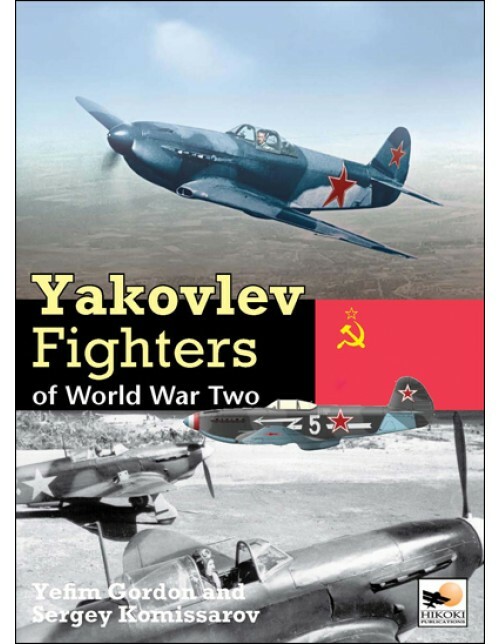 Previously unreleased photos and personal stories from pilots in the Great Patriotic War ensure Yakovlev Fighters of World War II is a detailed reference source for modelers, enthusiasts and historians alike. "Tells the terrific tale with meticulous accuracy and authority." "The ultimate book on these aircraft and no modeler, aircraft historian, WWII historian, or VVS historian should be without it." Sergey Komissarov was born in 1936 in Leningrad, at present Saint-Petersburg, and graduated from the Moscow State Institute of International Relations in 1960. From 1960 he worked in the Ministry for Foreign Affairs of the Soviet Union and then the Ministry for Foreign Affairs of the Russian Federation, occupying different posts at home and abroad. Retired since January 2002. In 1956 he started collecting photographs and books on the history of Soviet aviation, accumulating a considerable archive. In retirement, he devoted himself entirely to his hobby and embarked on the career of an aviation journalist. At present he is Deputy Chief Editor of the Moscow-based Krylya Rodiny (Wings of Motherland) magazine. He has published a number of articles on the history of Yakovlev aircraft, notably the Yak-18, Yak-11, Yak-12, Yak-23 and Yak-40. He is also the author or (mostly) co-author of a dozen of books on the history of Soviet aviation, published in English, in cooperation with Yefim Gordon and Dmitriy Komissarov.